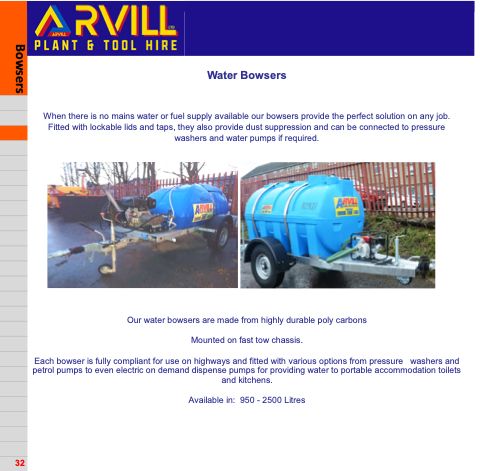 When there is no mains water or fuel supply available our bowsers provide the perfect solution on any job. Fitted with lockable lids and taps, they also provide dust suppression and can be connected to pressure washers and water pumps if required. Mounted on fast tow chassis. Each bowser is fully compliant for use on highways and fitted with various options from pressure washers and petrol pumps to even electric on demand dispense pumps for providing water to portable accommodation toilets and kitchens.